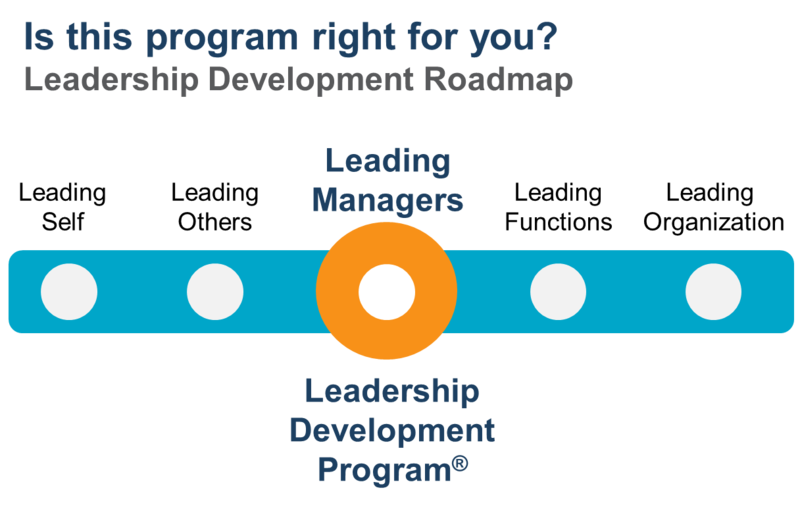 The Leadership Development Program (LDP)® is for mid- to senior-level leaders who want to strengthen their leadership effectiveness through a feedback-rich learning experience. For experienced managers ready to take leadership to the next level, this flagship 5-day Center for Creative Leadership (CCL®) program has been in use for over 40 years and is ranked as one of the top programs of its kind. Based on the most recent leadership research, this developmental process uses a variety of in-depth self-awareness tools and activities to enhance leadership capabilities for driving results. Think and act systemically—understand the big picture, see patterns, deal with trade-offs. Be resilient—effectively manage stress, uncertainty and setbacks.